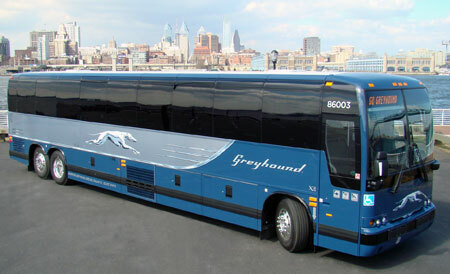 When we think of bus travel in the United States over longer distances, a lot of people will almost always think of the Greyhound Bus, the largest and one of the oldest bus travel services in the country. The bus company got its modest start in Hibbing, MN in 1914 and today, now based out of Dallas, Texas, it’s grown into a large corporation operating thousands of intercity buses and serving millions of bus travelers throughout the United States as well as other countries like Canada, Mexico and Great Britain. In South Florida, the company recently introduced the Greyhound Express service making it faster to travel between two destinations by eliminating many stops in between. Lots of other itineraries all over the country are available so make sure to check out their website to find out where else they travel to. Fares start at $1! Book far enough in advance and you might be able to snag some of these seats. More legroom – no more knees cramped against the back of the seat in front of you. Free Wi-Fi, very cool to have so that our smart phones can still connect to the Internet. Outlets so that you can plug in your laptop and keep right on working or surfing. Features like these really show how much bus travel has changed over time. Years ago none of these were available. Now, bus travel seems so much more comfortable and attractive, too. With gas prices are constantly going up, bus travel seems to be a good alternative. Prices for tickets are pretty reasonable, too, and if you book far enough in advance then fares get more interesting. And sometimes, people need a break from driving, especially on longer distances, and have someone else do that for a change! Not every bus station offers Express service so if you are choosing an Express itinerary, make sure to double check which station the Express bus starts from. From Greyhound Bus Lines, go back to Fort Lauderdale Family Fun home page.